Despite a rebrand from the "Pokerstars Caribbean Adventure" to the "Pokerstars Championship Bahamas", the numbers for the event continue to drop. This year's Pokerstars Championship Bahamas main event ended up drawing a total field of 738 players who ponied up the $5,000 to play. This resulted in a total prize pool of $3,376,712. Now, this is certainly a respectable prize pool, though the numbers for this event are way, way down over the past six years. In 2011, Galen Hall topped a field of 1,560 players to win $2,300,000. The buy-in for the event was $10,000 at the time, which ended up creating a total prize pool of $15,132,000. Sure, "Black Friday" certainly threw a wrench into the works, though the events continued decline over the past couple of years has to be alarming to Amaya Inc. In the first year after "Black Friday", the PCA main event ended up with a prize pool of just over $10 million, which was certainly great given the events that had transpired in the 9 months prior. In 2015, the prize pool dropped from $10,070,000 down to $7,915,200. Pokerstars decided to cut the size of the entry from $10,000 to $5,000 in 2016, though this didn't have the desired effect, as the prize pool fell from $7,915,200 to $4,500,800. The thought process was that a smaller entry fee would result in a significantly higher number of players entering, though this didn't turn out to be the case, as the field size increased by just 112 players. The numbers were flat out disastrous in 2017, as just 738 players turned out for the main event. The PCA had been one of the flagship events of the Pokerstars' live tournament tour. 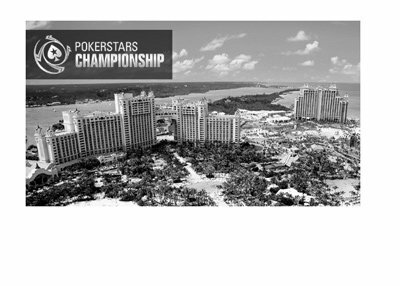 While the turnouts are certainly still healthy, the PCA (or Pokerstars Championship Bahamas, as it is now known) is in danger of losing its standing as one of the top tournament stops in the world. The PCA used to be popular with players as they would then jet to Australia to play in the Aussie Millions tournament. It seems as though many pros decided to skip this year's Pokerstars Championship Bahamas and head straight to Australia, for a number of different reasons. Pokerstars is learning that once tournament field sizes start to shrink it is very difficult to reverse the trend.